Having everything your kitchen needs in one clean package, the Benchmark 7-Piece kitchen set is the perfect addition to any kitchen. 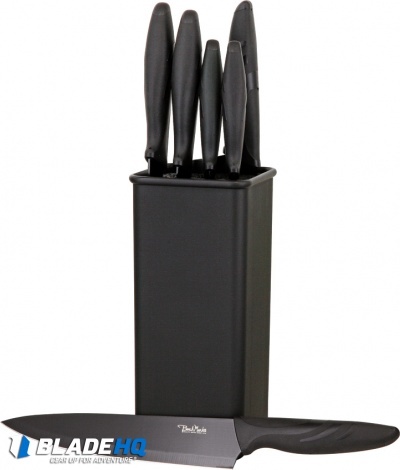 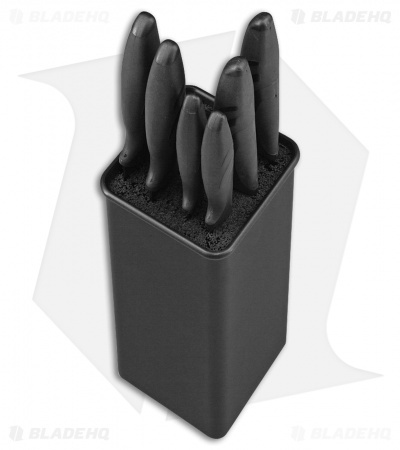 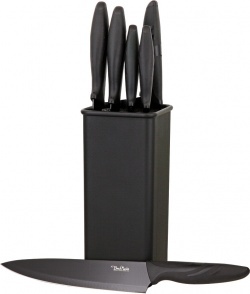 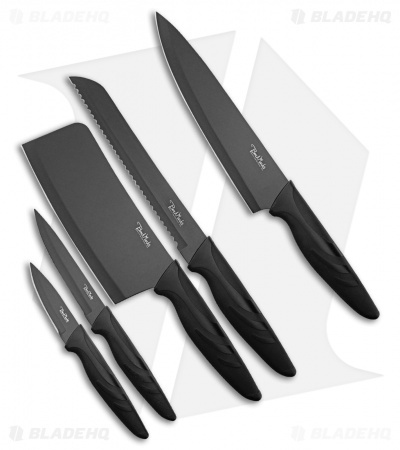 Each knife features a stainless steel black finished blade and rubberized handle. 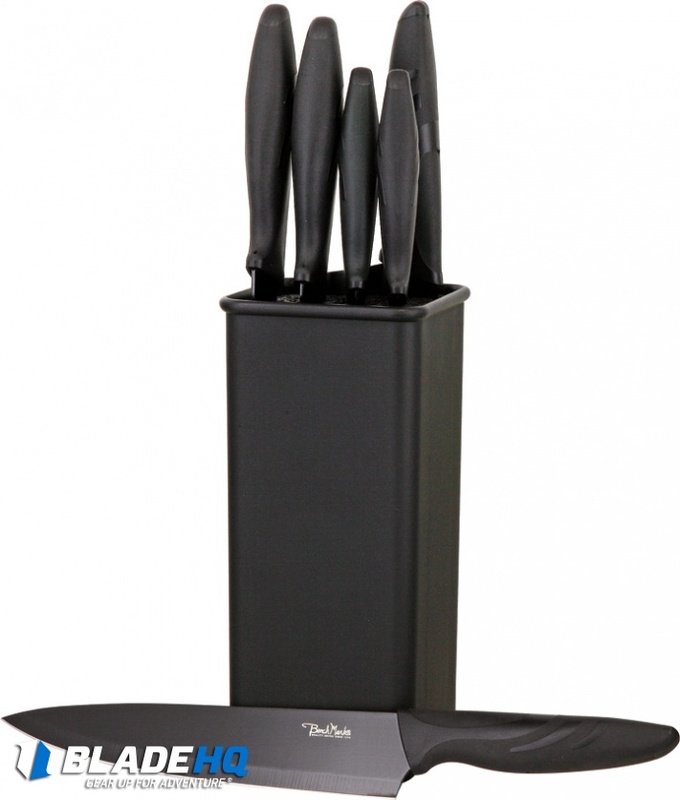 Storage is a breeze with the included bristle storage stand.